TEENS DEVELOP SELF-ESTEEM AND ATHLETIC SKILLS. 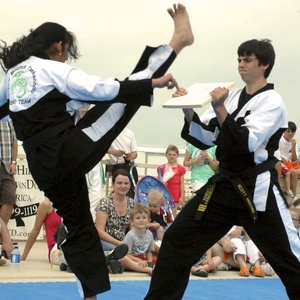 Our goal for your teen is to receive a Black Belt along with their High School Diploma! Being a Black Belt, or even a martial art Instructor, looks great on your college application! Both parents and students report to us that the discipline and confidence they learn in our center helps them do better in school and increases their chances on receiving scholarships. Your teenager could be one of them! OUR CLASSES ARE HIGH ENERGY AND MOTIVATING. Our program strives to provide your teenager with the self-confidence and focus they need to make it in today's world while teaching them how to be respectful. 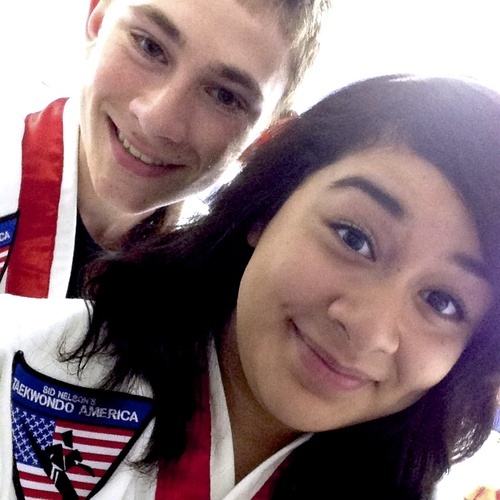 Davis' Taekwondo America is a safe and positive environment, providing a fun activity-driven atmosphere where those with common interests can join together in physically rewarding and mentally challenging activities.